Microsoft Word CV is necessity that lands jobs.Did you know that it is possible to create a perfectly good CV in a tool everyone knows how to use called Microsoft Word? And it’s not just some plain generic CV form, you see every day. No, you can create stunning templates in Word and really impress your employers. Check out this article to find out how. Of course, you can create a CV in Word from scratch. But there’s no need for that because there are more and more finished templates out there that will save you time and probably give better results. Lots of templates are free but if you really want a professional CV then you will have to give some money for it. 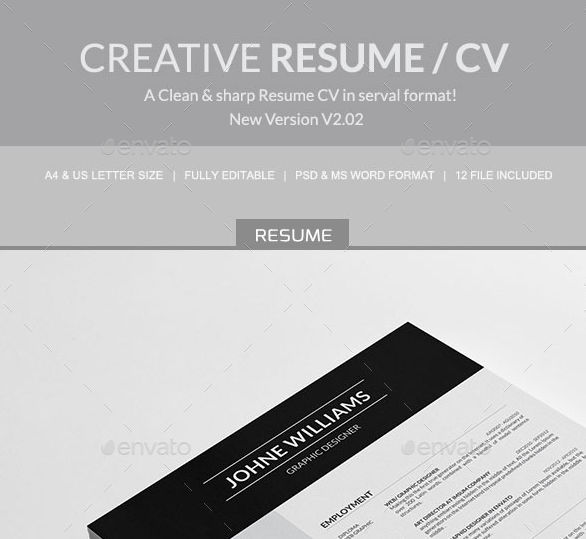 Most of CV templates for Word don’t cost a lot and it’s worth paying a few bucks for professional CV either Microsoft Word CV format or other. The main benefit of those templates is that they give you a lots of options. You could switch through various color schemes, edit and customize icons and buttons. You could also insert some extra fields if you require, and still keep the professional look and original design layout. We prepared a list of top 10 professional MS Word CV templates for you. They are not free for download but they will give you that extra spark you need. Browse through these unique templates and pick your favorite. If you are looking for a great Microsoft Word CV template for 2016 then this one is right for you. 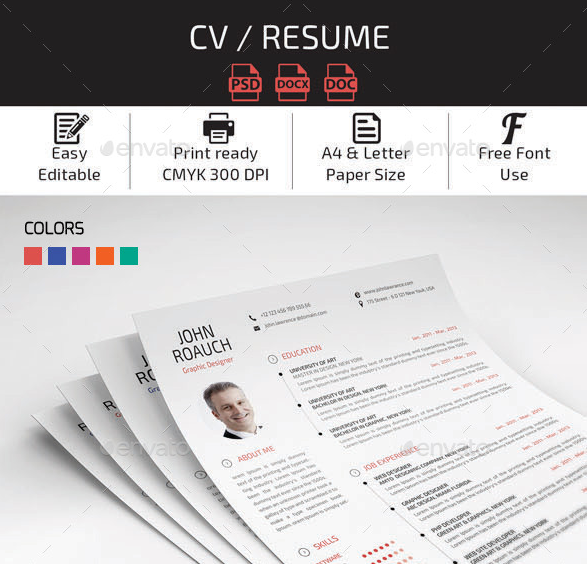 This CV template comes with 300DPI resolution and print ready files that offer you a full customization ability of every element. You get 4 PSD files, 4 Word files and two files that will help you with understanding everything. This Template was created with the help of Adobe CS6 tool. All the sections are perfectly organized, the font is professional, but you can also customize it to your liking. The color scheme is fully adaptable and there is almost nothing that can’t be changed in this template. You can’t go wrong with this one. Preview and download here. This Microsoft Word CV template has a little different approach to the design itself and you get more resume styles with it. This one is also highly editable and comes with 8 PSD and Word files along with help files that will introduce you to the template and help you with using it. It is print ready and the PSD size is 8.51 x 11.94. This resume offers a little more detailed layout which allows you to present yourself with more information. The upside is also the cover letter that goes with this CV template, so you could write a more direct presentation of yourself to a specific employer. Cover letters are important because they add a more personal approach and it shows your employer that you are devoted. In order to see full preview and download this template click.Preview and download here. Very simple name, but also very creative and sharp looking template. 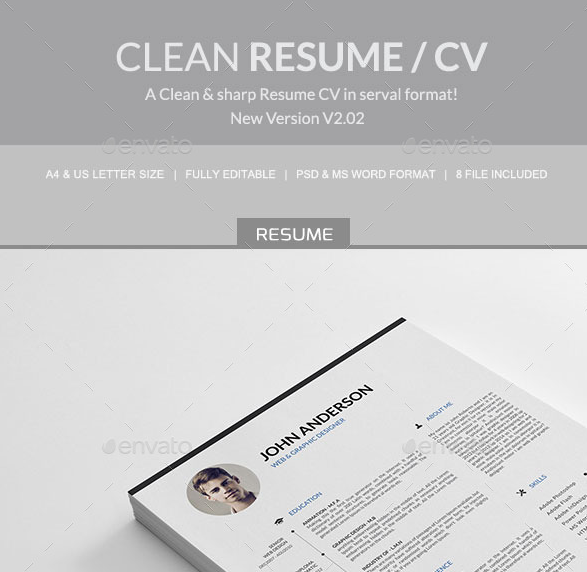 This one promises to be one of the best Word CV templates for 2016. You don’t just get a resume template, you also get a cover letter template along with portfolio. Really nice package that gives you everything you need in order to impress your employer. Other features include 12 different files, completely customization ready elements, help files and PSD and Word files for cover letter and portfolio. It is also print ready so after you write everything you want you can easily print it. Preview and download here. The Cascade resume template is one of 20 offered by the Uptowork Online Resume Builder. It’s the most popular choice among the US audience. No wonder — it modern, the dark sidebar packs a punch, yet the template looks professional and sophisticated. It’s perfectly optimized to hold as much information as possible without looking cramped. 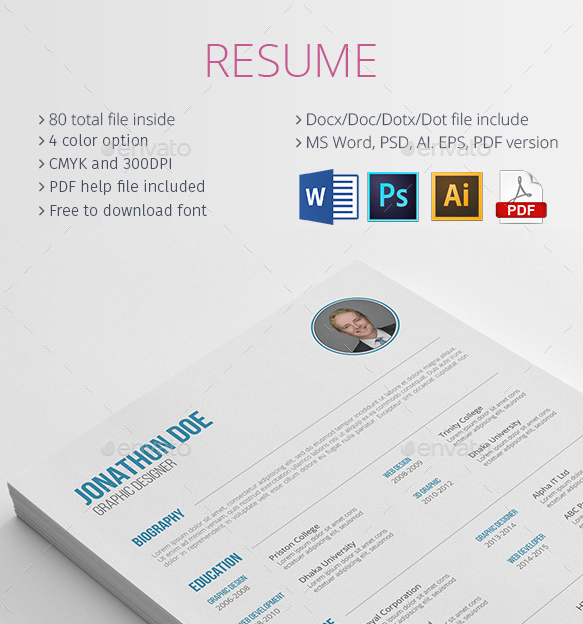 With 400 color schemes to choose from, dozens of beautiful fonts, and a highly-readable layout, this resume template is the perfect choice for any job-seeker. But it’s not just the looks that will impress. The Uptowork Resume Creator will provide you with expert advice on how to write the perfect resume as you make your way from section to section. Another great template that will surely get you the job. This amazing package includes resume template and a template for cover letter, portfolio and references. You get it in 5 different colors with highly editable elements. You can also create your own color schemes because it is really easy to change colors. The layout is very professional and somewhat futuristic. It allows you to express all your advantages and personal features, but still keeps everything arranged and stylish. There are also some interesting active graphic solutions that will make your CV stand out. With package you get 60 different files with Word files and InDesign files included. Preview and download your copy here. This Microsoft Word CV template for 2016 includes a completely editable resume template and a template for cover letter that is really easy to write and edit. It is ready to print so you can easily put everything on paper. 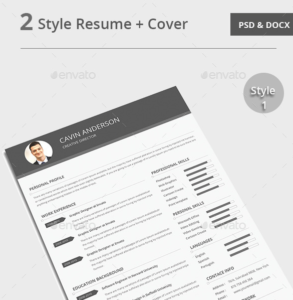 You get 2 PSD files for resume and cover letter and 4 Word files (2 .docx and 2 .doc). If you have trouble using this template don’t worry because you can use the help file and find out everything about it. This template offers an elegant design and lots of categories to fill, so it will help you show the best of your abilities. Dual color scheme gives your CV a professional tone and doesn’t look distracting while it kills the monotony. This will allow your employer to concentrate better on reading your CV. Preview and download here. Apparently the name “The CV” is very popular with Microsoft Word CV templates for 2016. 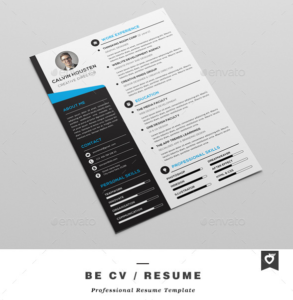 This is already the third template with this name but each of this templates is different and offers something else along with some standard features that are enough to create a perfect resume. With this template you get 6 PSD files, 6 word files and 2 help files to help you with using it. You have various color schemes available and the design itself is dynamic and active. It’s a real refreshment comparing to others because it brings in some fun along with usefulness and unique layout. Preview and download here. This template for Microsoft Word gives you an opportunity to create a professional CV and cover letter in an easy way. It’s fully editable and comes in three different formats, PSD, MS Word and EPS. 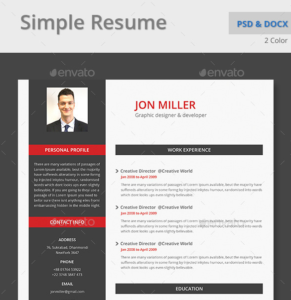 With Resume template you get 8 different files including 2 PSD, 2 .doc and 2 EPS. Each of these file types allows you to edit your CV in a different software. The name “Clean resume” didn’t come for nothing with this one. The form and the layout of this template gives your CV a clean look, while still keeping the ability to expose all the necessary information about you. Get your copy of “Clean resume” on this link. CV Resume is another great Microsoft Word CV template for 2016 and it brings you an easy customizable template that will surely satisfy everything you need when creating a resume that should impress your employer. 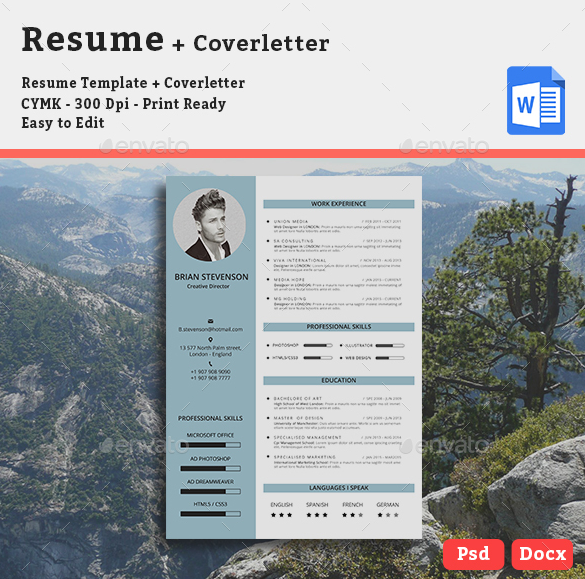 In this package you get 12 different PSD files for resume, cover letter and portfolio and 24 Word files including .docx and .do files for every part. You can easily change anything you want in Adobe Photoshop or in MS Word. Files come in 300 DPI resolution and are ready for perfect printing. A great feature is also the ability to use several free fonts that will make your CV stand out in the crowd. Remember that it’s important to show your uniqueness to your employer right from the start and this template will give you the head start. Preview and download here. 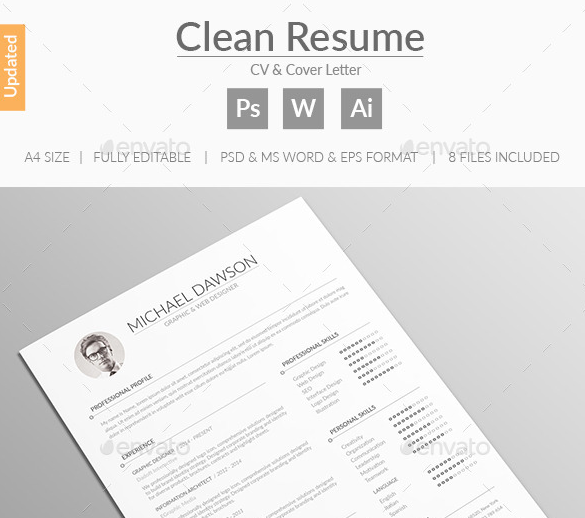 Another great template that made it on our list is called Clean Resume and it comes with everything you need to create a professional resume. It comes in A4 and US letter size, every element is easily editable and you get 8 different files with it. The design itself is very attractive because of its professional and clean look. If you want your employer to know who you really are and understand the full extent of your abilities, then this is your primary weapon. Fill it up, send it to your employer and get ready to be hired. Preview and download here. 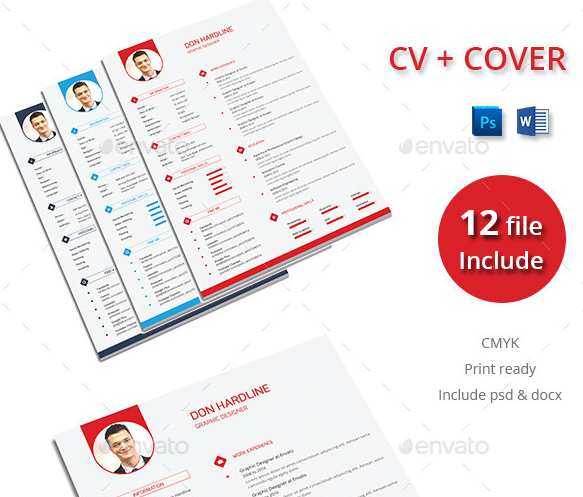 And the last template on our list is actually the fourth template with the name “The CV”. And probably the largest one, too. You get a total of 80 files that include four color variations of your resume, cover letter and portfolio page if you need one. You get PSD files, Word files, PDF file and EPS versions of every part. It is very easy to edit every part of those pages and it’s certain that this package will help you impress every company send it to. It is attractive and professional with elegant layout and loads of categories. If you have troubles with compiling your personal data, this CV will be a great asset in your job hunting arsenal. It’s professional, editable and it will make your CV just jump out of that pile of other CV applications. Preview and download here. All of these CV templates are just tools in your hands. You can use them and shape them to your will. The real power to get a job lies in you and your ability to present yourself, which these CV are going to help you with. So get your favorite template and let it help you show the best of you, after that-just let us know when you get that job call. Did you already tried any of these MS Office Word CV templates? How did you like them? Do you think there are better templates? Let us know in the comments below.